For many years the UK has lagged behind its competitors in the number of European patent applications. With 6,464 applications in 2011 it has actually slipped a place from 7th in 2009 to 8th in 2011 behind the USA (59,688), Japan (47,404), Germany (33,181), China (16,946), South Korea (13,254), France (12,107) and Switzerland (7,786). I have long argued that there is a correlation between the number of patent applications and the relative cost of intellectual property enforcement (see "New Patents County Court Rules" IP/IT Update 31 Oct 2010 and "Why IP Yorkshire" IP Yorkshire 10 Sept 2008). Until the new Patent County Court Rules were introduced on 1 Oct 2010 England and Wales was arguably the most expensive and difficult country for a small business to enforce its intellectual property rights in the developed world. Now that situation is about to be reversed. From 1 Oct 2012 England will actually be one of the least expensive and least risky places in the world to bring small IP infringement claims. On that day The Civil Procedure (Amendment No.2) Rules 2012 (SI 2012 No 2208) come into force. Rule 10 of those Rules will amend CPR Part 63 to permit small IP claims to be brought in the Patents County Court. This seemingly insignificant rule change is potentially of enormous importance for our country's economic future as I have stressed in "Small IP Claims" (NIPC website 8 May 2012), "Enforcing Small IP Claims: Sullivan v Bristol Film Studios" IP/IT Update 7 May 2012 and "The New Small IP Claims Jurisdiction" IP/IT Update 5 March 2012. The new rules will allow claims for infringement of copyright, design right, trade mark and most other intellectual property rights including breach of confidence relating to trade secrets and passing off to be allocated to a new small claims track provided that the value of the claim does not exceed £5,000 and the parties agree. If the parties do not agree the court will allocate the case to the small claims track or multitrack as it thinks appropriate. The significance of allocating a case to the small claims track is that a simplified procedure applies and there is a limit to the costs that the successful party can recover from the other side. It is possible - though I would stress not always prudent - for a party to represent him or herself in that tribunal. It is important to stress that not every intellectual property right can be enforced in the small claims track. In particular, claims for the infringement of a patent, registered design, registered Community design, design right in a semiconductor topography or plant breeder's rights will still have to be allocated to the multitrack. However, there is nothing to stop the court from re-allocating such a case to the small claims track as the Court of Appeal suggested in Sullivan (see my case note "Enforcing Small IP Claims: Sullivan v Bristol Film Studios") or giving directions similar to those that would be made in the small claims track. I said above that while it is possible for a party to represent himself before the Patents County Court it is not always prudent to do so. That is because rule 10 (c) provides for most of the rules of CPR Part 63 to apply to the small claims track. Some of these rules are quite technical as is the substantive law. In my career at the Bar I have seen several cases in which a litigant in person has proceeded to judgment only to have it set aside at great expense because of an avoidable procedural defect. For those who are prepared to write their own letters to the court and other side and serve their own documents my chambers will provide fixed fee oral and written representation. For those who are not, I have arranged with JWK Solicitors who have lots of experience of small claims litigation as well as expertise in IP to offer fixed fee litigation. Anyone who wants to learn more of those services should call me on 0800 862 0055 or contact me through Facebook, Linkedin, twitter or Xing, or through my contact page. 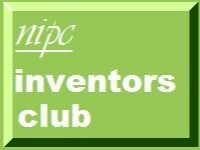 Finally, I am giving a talk on the new rules and my new fixed fee enforcement services to Sheffield Inventors Club at Sheffield Central Library in Surrey Street on Monday 1 Oct 2012 between 18:00 and 20:00. Anyone wishing to attend should contact Lynne Hinchcliffe on 0114 273 4712. There will be no charge for the talk but space is limited and recent events have been very well attended.